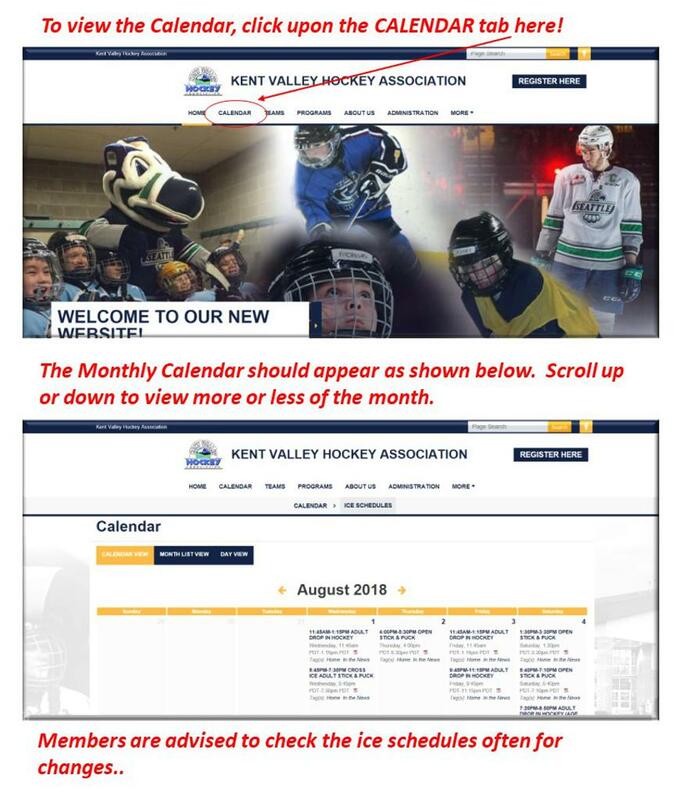 Kent Valley Ice Centre, Kent, WA., Thursday, August 30, 2018 – The Ice will be closed for annual ice maintenance September 3rd, Labor Day, through Wednesday September 5th. Kent Valley staff will take the ice down to the bare minimum, make any needed repairs and repaint and restripe the ice surface in preparation for the new hockey season. The ice will reopen for business on Thursday September 6th. KVIC management thanks everyone for their patience during the closure. Ice Schedule Changes are Numerous! Be Sure to Check the Schedule Before You Head for the Rink. As was anticipated, several changes have been made to the ice schedule for the first week of the season. We can expect frequent changes during the first few weeks of the season. Members are advised to check their team pages often for ice schedule changes. 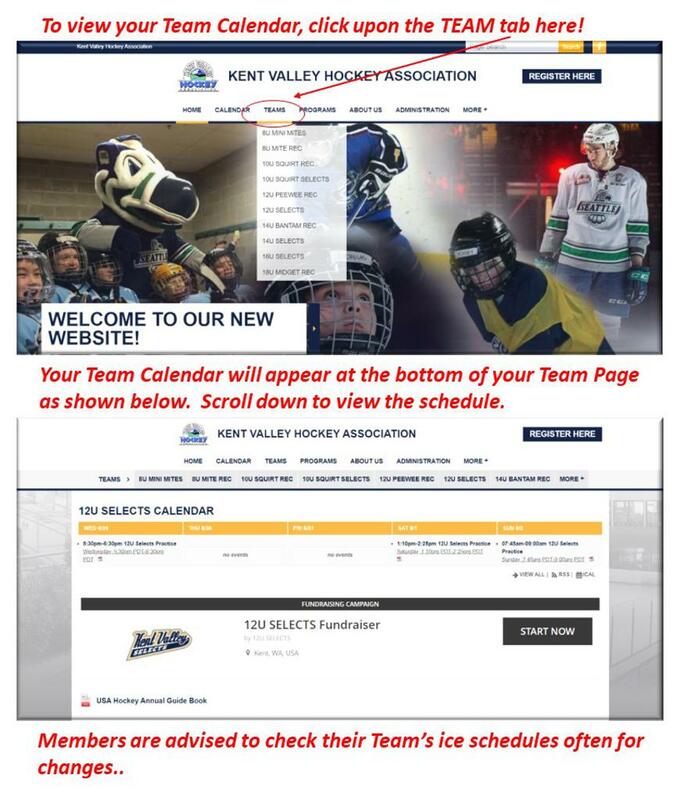 Our new KVHA web site provides members with an easy way to view the ice schedule for just their team. As indicated above, members are advised to check their team’s ice schedule often for changes. Assistant Coaches, Team Managers and Other Volunteers Needed for Most Kent Valley Teams. Coaches have been identified for most of our teams. Next comes Assistant Coaches, Team Managers, Locker Room Monitors, Scorekeepers, Score Clock Operators, Penalty Box Operators, and other volunteers. We encourage all members to volunteer for whatever is needed to make their team run smoothly throughout the season. Thank you in advance for your generous participation. Coaches, Assistant Coaches, Managers and Locker Room Monitors must be USA Hockey Safe Sports Certified, registered with USA Hockey 2018-19 and background checked. Contact Rena Sullivan, KVHA Registrar, if you have any questions.